Peugeot had an SUV-sized gap in its range in 2007 so someone in France picked up the phone to Mitsubishi and hatched a plan. Peugeot had an SUV-sized gap in its range in 2007 so someone in France picked up the phone to Mitsubishi and hatched a plan. Citroen was involved too, the French-Japanese alliance seeing both Peugeot and Citroen borrow Mitsubishi's Outlander to create Francophile interpretations on a theme. Peugeot turned out the 4007, Citroen the C-Crosser, the 4007 gaining Peugeot's then sizable gaping grille as its defining design feature. Throwing an even more international mix into it all is that the all three cars were built in the Netherlands, at the Nedcar plant, the Peugeot and its close relations fighting in the ever expanding compact SUV marketplace in Europe. 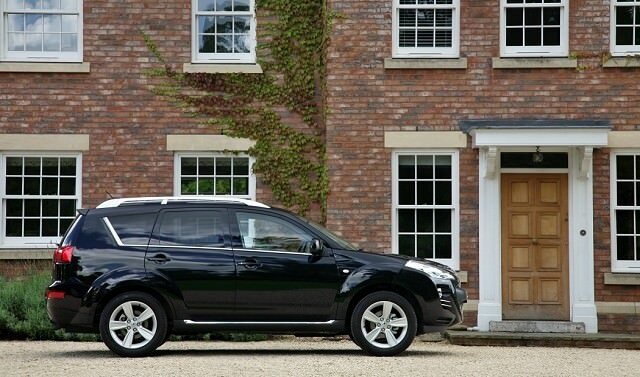 Those French picked a decent model to base their SUV contender on in the Outlander. Competing in the compact SUV marketplace against cars like Ford's Kuga, the Volkswagen Tiguan and Toyota's RAV,4 among others, the 4007 majors on practicality. Helping here is its split tailgate, the lower section folding down to create a useful platform, the upper hatch opening conventionally. Open it and there's a huge boot, which has a pair of occasional seats stowed under the floor. Obviously the load space diminishes when it's in seven-seater mode, but they're a useful feature in this practical family car. The middle seats also have a fold and tumble function for improved access to the back - or greater luggage space. Instead of using the Volkswagen-sourced 2.0-litre TDI engine (badged DI-D) that Mitsubishi offered, the 4007 utilised Peugeot's own 2.2-litre HDi unit, producing 156hp and a solid 380Nm of torque from just 2,000rpm. Offered as standard with a six-speed manual gearbox it was also available with an automatic transmission, but they're very rarely spotted in the classifieds. Featuring electronically controlled four-wheel drive it's possible to run the 4007 in front-wheel drive only for improved economy; automatic four-wheel drive where the system directs drive to all four wheels when it's needed; or four-wheel drive locked when the going gets really slippery. With its Mitsubishi DNA it's an accomplished off-roader if you need it to be, with few compromises on the road despite this. The engine is smooth and eager, the steering accurate and driving position good. Equipment levels even on the base models are comprehensive, so expect alloy wheels, air conditioning and electric windows. ST models are the most common in the classifieds, where you'll also find the occasional SV model and the inevitable commercial models - without any rear seats. A seven-seat ST is the one to have, largely because it's the most common so there's a good choice available. Given its make-up though it's worth looking at the Citroen C-Crosser or Mitsubishi Outlander in the classifieds too as they might offer better value - and more desirable styling, depending on your standpoint on Peugeot's bold grille. The Peugeot 4007 is a rare sight on Irish roads, though one that'll undoubtedly turn heads given its bold styling. A useful family car too, with its ability to carry seven, though its Mitsubishi roots are rather betrayed by the plastics inside, Peugeot not doing much to improve the interior. Worth a look if you want a capable family hauler, but so too are its close relations, which may be cheaper.